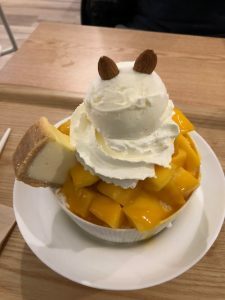 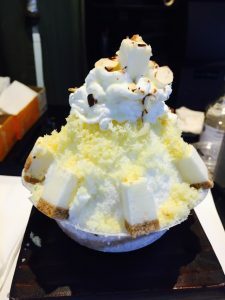 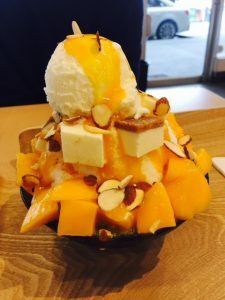 A selection of my favourite Korean Shaved Ice foodie treats in no particular order that I have tasted recently and where to find them. 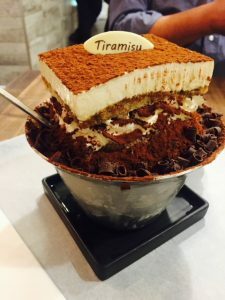 “bingsoo” with milk shaved ice topped with their homemade Tiramisu, with cheesecake layered through out the shaved ice, with a shot of espresso on the side to pour over the shaved ice heavenly! 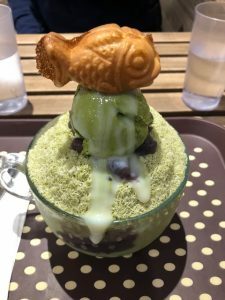 Stay tuned for more of my Foodie Treats.